Remote car starters are a convenient and efficient way to start your car and optimize the interior temperature before you get in and drive. The experts and Kingpin Car & Marine Audio, just outside of Portland, are well-versed in the installation of remote car starters in all types of vehicles, including newer push-to-start (keyless) vehicles, manual transmission vehicles and even hybrids or electric vehicles. If you appreciate a comfortable interior temperature the second you enter your car, you’ll love the options Kingpin offers you to remotely start your vehicle. 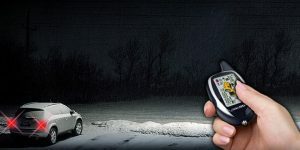 While many remote car starter clients identify needs during the colder winter season, a remote starter can also be quite helpful during the hot summer months. Since the ultimate goal is to optimize your car’s interior temperature to your chosen level before you get in and drive, many Kingpin clients find themselves using the remote car starter nearly all the time. For vehicles with gasoline or diesel engines, the added benefit is to warm the engine to achieve better acceleration and performance, sometimes even extending engine life versus a driving away from a cold start. Remote starters are especially useful for short trip where the duration of the travel may not allow the interior to heat (or cool) adequately. Overall a remote car starter is a safe and convenient way to maximize your time of comfort behind the wheel instead of waiting for the interior to reach your ideal temperature. Use the factory keyless entry remote – Some of the remote starter add-on systems offered at Kingpin Car & Marine Audio allow the factory keyless entry remote to function as the control for the remote starter. While this option is specific to certain vehicles and remote starter systems, its only limitation is the range of the factory keyless entry remote. 2-way extended range key fob remote – Many Kingpin clients choose a stylish 2-way key fob remote that replaces their factory keyless entry remote. This not only remotely starts the vehicle from a significantly longer distance (up to a mile in some cases), it also performs all the original functions such as locking and unlocking the doors, releasing the trunk, etc. Kingpin’s installation experts ensure your remote starter is easy to operate and, with the 2-way communication, the remote key fob provides you important status confirming commands or alerting other circumstances. Smartphone control – The latest and greatest control method of remote car starters at Kingpin Car & Marine Audio is via smartphone app on iOS or Android devices. This robust method of control adds additional features that take advantage of cellular communication with the vehicle such as status updates (check the vehicle’s temperature, confirm doors are locked, etc.) and other options such as real-time GPS tracking. This brings the complete control and awareness of your vehicle’s whereabouts and status right to the palm of your hand in your smartphone. 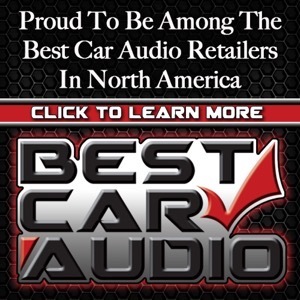 Kingpin Car & Marine Audio’s expert technicians ensure that your remote car starter has all of the important safety features correctly connected and configured. If your vehicle is started and someone gains unauthorized entry, the vehicle shuts down as soon as the brake pedal is engaged or put into gear. The system is also inhibited from remote starting if the hood is open so that, for example, a technician servicing the engine will not be in harm’s way. Additional inputs from various electronic systems in the vehicle are also monitored so that the vehicle does not over rev the motor, run too long and overheat or drop below a save battery voltage. At Kingpin, they observe installation safety standards for remote car starters that meet or exceed the industry standards. 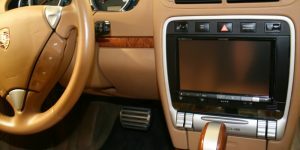 Many clients appreciate Kingpin Car & Marine Audio’s up-to-date solutions and innovative installation practices that allow even them most modern and complex ‘computerized’ vehicles to have a remote car starter installed. 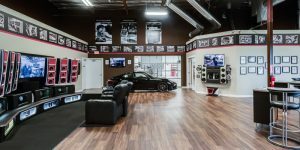 Mercedes-Benz, Audi, Toyota Prius, Tesla Model S, Porsche, BMW or any number of other complex vehicles are all well within Kingpin’s area of remote starter expertise. Of course Kingpin can just as appropriately install remote starter solutions in many classic and customized cars. Kingpin will deliver a true individualized remote car starter solution. Kingpin Car & Marine Audio’s in-house remote starter experts are able to show you comprehensive solutions to get the right remote car starter for your vehicle. Visit them today and schedule a no-cost consultation to learn about all of the remote starter options and control choices so you can start your car from your key fob remote or smartphone. And remote starters are always installed to the highest standard at Kingpin Car & Marine Audio. 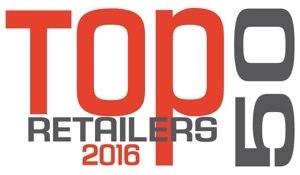 Remember, at Kingpin remote car starter installations are done only one way; the RIGHT way!